excelente! chegou faz bastante tempo, mas quis testar ao máximo para ter certeza que vale a pena. comprem sem medo! loja super confiável, entrega muito rápido! vou comprar de novo. excelente! chegou faz bastante tempo, mas quis testar ao máximo para ter certeza que vale a pena. comprem sem medo! loja super confiável, entrega muito rápido! vou comprar de novo. 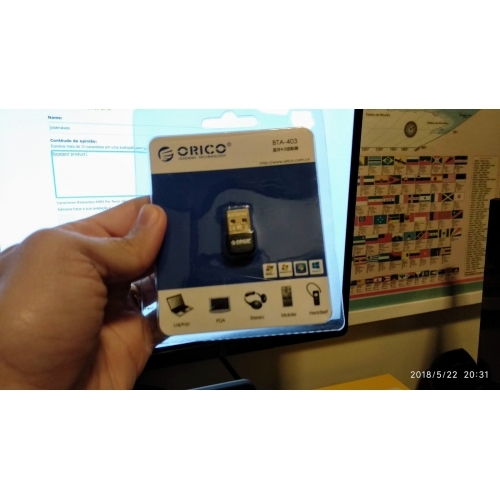 Oricos bluetooth adapter is a great choice for your PC if you already have one. 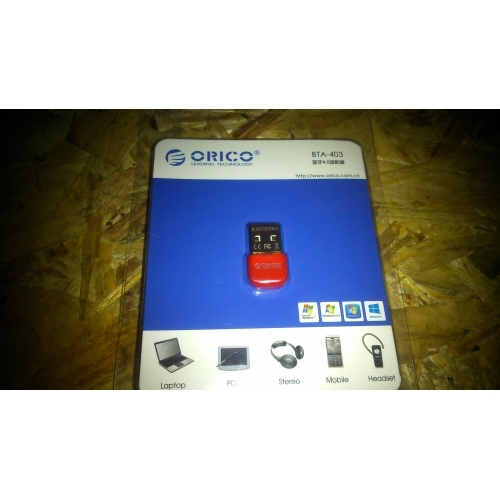 It has a long range and it gives you the chance to connect your headphones, smartphone and any bluetooth device you wish, to your PC. I highly recommend it to anyone who wants his PC to have a bluetooth output. 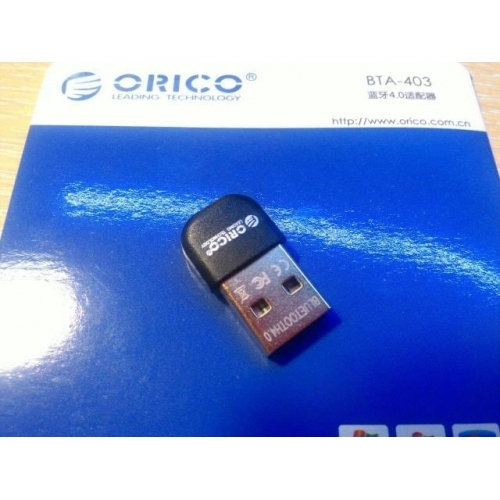 Oricos bluetooth adapter is a great choice for your PC if you already have one. 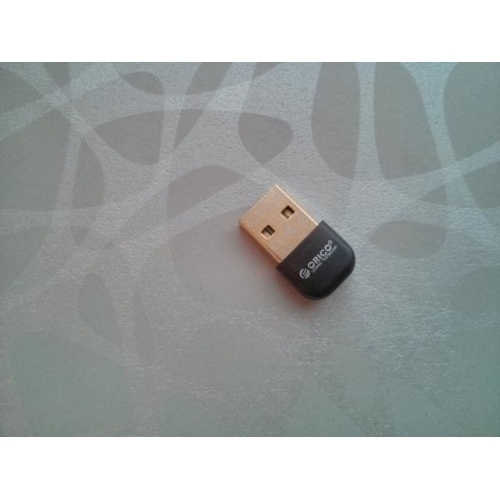 It has a long range and it gives you the chance to connect your headphones, smartphone and any bluetooth device you wish, to your PC. I highly recommend it to anyone who wants his PC to have a bluetooth output. Welcome to shopping on our site again. Hello, Dadotornado3! Excelent product. If you have a personal computer, or a Hackintosh, it a must have product. Excelent product. If you have a personal computer, or a Hackintosh, it a must have product. ótimo! produto de excelente qualidade. Tudo conforme o esperado! ótimo! produto de excelente qualidade. Tudo conforme o esperado! Product received well. Got the blue paint version. All in all a good buy. Product received well. Got the blue paint version. Recebi o produto conforme o descrito, adorei a velocidade de transferência desse adaptador, excelente compra. 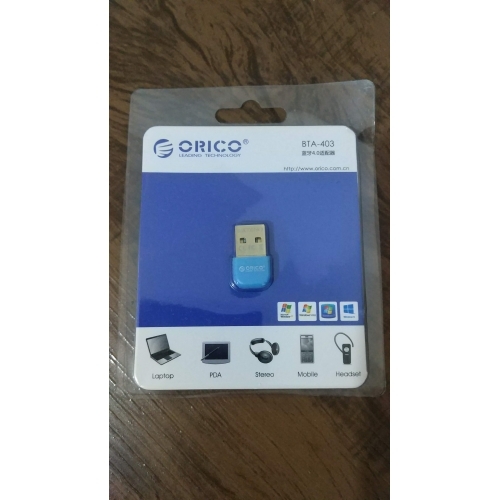 Recebi o produto conforme o descrito, adorei a velocidade de transferência desse adaptador, excelente compra. Vandaag binnen gekregen,en getest.Werkt direct plug en playgoed, tot zeer goed,Bluetooth muis installeert werkt perfect,Bluetooth werkt ook met draadloze oordopje,makkelijk te installeren ook op Windows 10.Een aanrader!! Vandaag binnen gekregen,en getest.Werkt direct plug en playgoed, tot zeer goed,Bluetooth muis installeert werkt perfect,Bluetooth werkt ook met draadloze oordopje,makkelijk te installeren ook op Windows 10.Een aanrader! !